Our 93 has a bad "electrical" smell when the lights are on and when idling, the low beams are blinking sometimes. Light switch? The light switch connector (plug) probably has loose female spade terminals and is heating/burning the connections plastic surroundings. The same light switch and plug (connector) is the same till 1997 I believe,so finding one and purchasing should be easily done. Does the smell happen when idling AND lights are on, or either idling or lights on? What happens then truck is off and lights are on? What do you expect for something that is 25 years old. 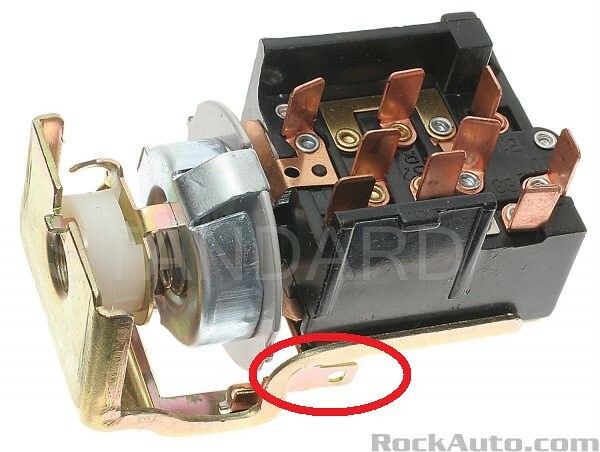 Electrical parts wear out the same way other mechanical parts do. Howz your electrical skills and what test equipment do you have? Do you have a factory service manual with the wiring diagrams? Sometimes you get lucky and the problem is obvious, most of the time it's like looking for a needle in a hay stack without a metal detector. cougar wrote: most of the time it's like looking for a needle in a hay stack without a metal detector. It only smells when the light are on, so driving or idling doesn't make a difference. It is a fact that these trucks don't have great electrics but the great Cummins makes up for it! How are the rheostat and its connections in the dash? Start with replacing the headlight switch and inspecting the connector. Repair as necessary. Next is to put you headlights on relays. This takes all the load off the switch, connector, and wiring. Most likely your switch has a bunch of green crud built up in it from the electrical load. I had to bang on my switch and work it in/out a bunch of times to get switch to work reliably. (So far) I pulled one out of one of the parts trucks, but it was full of green crud as well, so I didn't bother changing it. Maybe one could spray something in the switch to dissolve the crud. I don't think wd-40 would hurt anything, I'm gonna try it if the switch buggers up on me again. It is the headlight switch plug. The big red wire is melted into the plug. I think because someone had the wiring connected with those crimp connectors and the big red wire was loose. The thin black and yellow wire was dodgy also. I ordered a new headlight switch and pig tail but I noticed that there is an extra thingy on the switch as you can see in the pic. What is supose to hook there? I also going to add relays so that it doesn't happen again. On my truck each headlight has it's own relay and I put the tail and marker lights on a relay. Then promptly put in LEDs for the tail lights. The tail light relay also feeds the trailer tail and marker lights too.